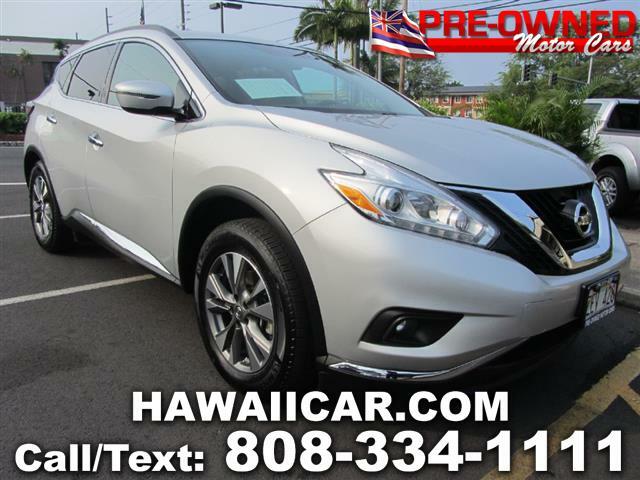 This 2017 All Wheel Drive Nissan Murano does it all! Sporting a 3.5L V6 with a Automatic Transmission making 260 Horsepower, you'll be sure to have plenty of power to get over the saddle! The features of this Murano SV adds onto the standard features like fog lights, NissanConnect? with Navigation and an 8-inch multi-touch color monitor, Apple CarPlay™, SiriusXM® Traffic and Travel Link®, speed-sensing windshield wipers, an 8-way power driver’s seat and a rear passenger USB connection port for the iPod® and other compatible devices. Come on down to Pre-Owned Motor Cars and take this Sporty Murano home!